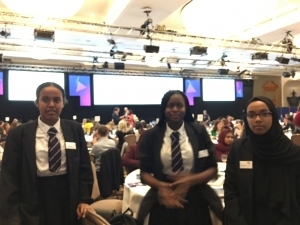 On Wednesday 14th November, three Year 10 students were given the opportunity to take part in the Women of the Future Summit at the London Hilton Hotel on Park Lane. 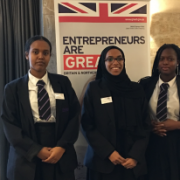 The purpose of the event was to connect, inspire and support the next generation of female leaders. 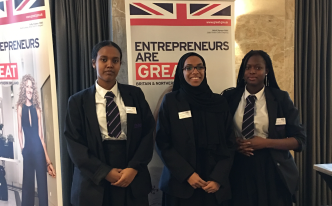 The students got the opportunity to listen to and engage in discussions from key speakers such as Pinky Lilani CBE DL, Founder of Women of the Future Programme and Melanie Richards, Deputy Chair of KPMG UK. They also had the opportunity to network with over 300 women delegates from top national and international businesses. The students found this to be an eye opening experience to see the challenges and equality issues women face in leadership, and how to breakdown some of these barriers. They felt inspired and hope to become women of leadership in the future.